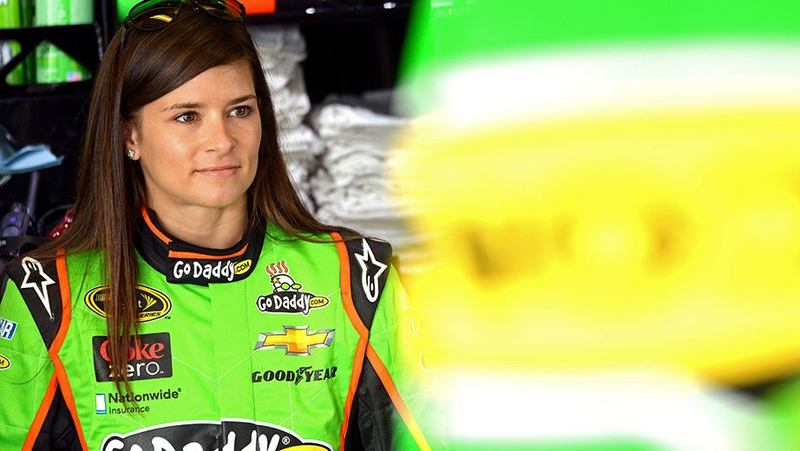 DAYTONA BEACH, Fla. — In the immediate aftermath of one of the biggest accomplishments ever recorded by a female driver in NASCAR’s premier series, all Danica Patrick wanted was one thing. For the fist woman ever to win a pole in the Sprint Cup Series, dinner would have to wait. Following her historic qualifying day at Daytona International Speedway, Patrick sat for a satellite media tour that included interviews with “CBS This Morning,” “Good Morning America,” CNN, ESPN and local stations in Chicago, Indianapolis, Cincinnati, Miami, Charlotte, Tampa and Las Vegas. Tuesday will bring another round of national media, including an appearance on ESPN’s “Pardon the Interruption” program. And then there are all the front pages, from the “You Go, Girl” headline screaming from the Daytona Beach newspaper to the lead story in USA Today. The historic proportions of Patrick’s pole run resonated well beyond the 2.5-mile speedway, capturing the attention of even casual sports fans and media outlets that don’t always focus on racing. And it all served to build more publicity for what is quickly becoming one of the more anticipated Daytona 500s in recent memory. Indeed, prior to Sunday the primary topic of conversation had been the more brand-identifiable Generation-6 Sprint Cup car, which is making its competitive debut in these Speedweeks. 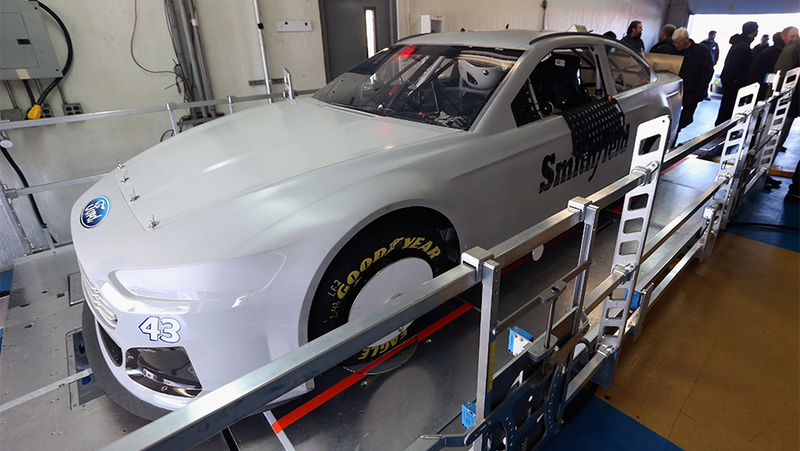 And the new Swan Racing team, which will have two-time Daytona 500 champion Michael Waltrip behind the wheel, is running a vehicle which will honor victims of the shooting in Newtown, Conn. But once it became clear that Patrick’s No. 10 car would remain at the top of the scoring tower in qualifying, attention shifted to yet another history-making feat turned in by the 30-year-old native of Roscoe, Ill.
Patrick has broken barriers before in NASCAR, two years ago at Las Vegas turning in a fourth-place result in a Nationwide Series race that remains the highest finish ever by a female at the sport’s national level. Last year, she become the first woman to ever finish in the top 10 in final points in a national series. 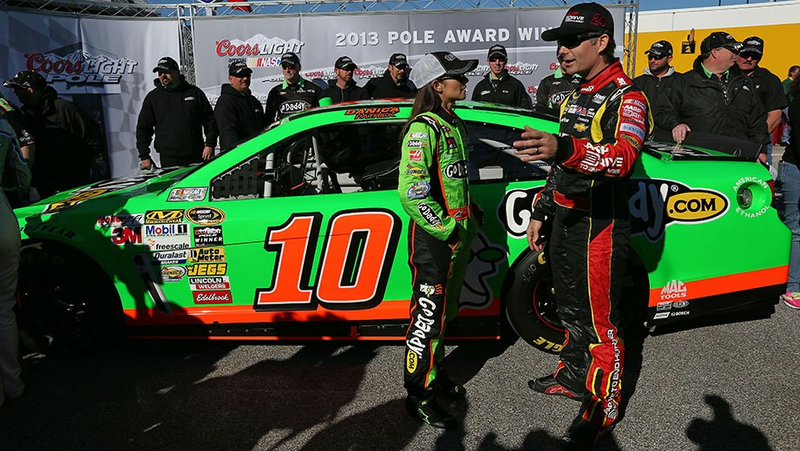 She’s even won a pole before, claiming the top starting spot for the Nationwide opener at Daytona one year ago. But none of that compares to earning the pole for the Daytona 500, NASCAR’s biggest race. Sunday marked the third time a female has claimed a top starting spot at NASCAR’s national level, following Patrick’s Nationwide pole at Daytona last year and Shawna Robinson’s in a Nationwide race in 1994 at Atlanta. Previously, the best starting spot by a woman in a Sprint Cup race was ninth, set by Janet Guthrie in 1977 at Talladega and Bristol. Although winning the pole for the Daytona 500 is no guarantee of success in the race — the last driver to win from there was Dale Jarrett in 2000 — starting first in NASCAR’s biggest event turned heads in Daytona and beyond. That was certainly the case Sunday, as spectators atop Daytona’s Fan Deck robustly cheered Patrick as she posed for photos in front of the Coors Light Pole Winner banner in the garage area. With each race, she’s viewed less as a former open-wheel driver and more as someone whose present and future are in stock-car racing. Many of her fellow competitors clearly felt the same way, even though winning the pole for the Daytona 500 is as much — or more, depending on the viewpoint — about the car as it is the driver. Regardless, that didn’t detract from the historic implications of Sunday, when a driver who once broke gender barriers in open-wheel racing continued to do the same in NASCAR. In NASCAR, where performance is everything, results are paramount. Toward that end, Patrick showed marked improvement toward the end of last season in both her Nationwide and Sprint Cup cars, and was among the fastest drivers in January testing at Daytona well before she came to Speedweeks. In some of her competitors’ minds, that progress gave more credence to Sunday’s accomplishment. Odds are, this time they will. We are actively working on a fan community solution and hope to have it up and running soon. As we work through this enhancement, we are temporarily disabling the comments function. We appreciate your patience and apologize for the inconvenience.